USC’s Entrepreneurial Studies Program awarded Aaron Levie, founder of Box, it’s Alumni Entrepreneur of the Year Award Wednesday night. Box is a leader in the online data storage and enterprise software business. 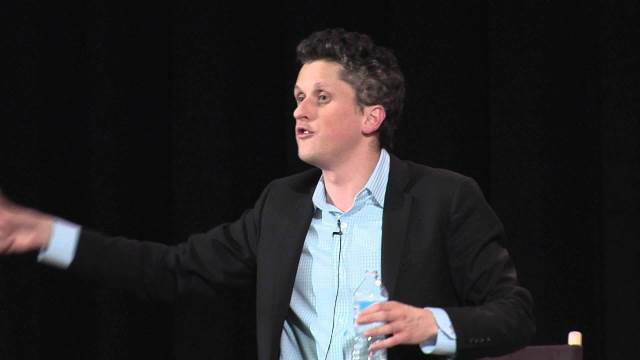 Levie got a B on his business plan in college, received early financing from Billionaire Mark Cuban, and dropped out to run the company 9 years ago. The company currently has 60% of all Fortune 500 companies as clients, and has a market valuation exceeding $1 billion. The event was held at the Ronald Tutor Campus Center Grand Ballroom, and was very well attended by former recipients, board members, faculty, alumni and students eager for tips and inspiration for their own ventures. 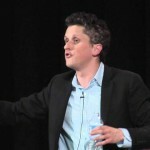 Levie talked at length and with humor about venture capital, growing pains, delegating and vision. 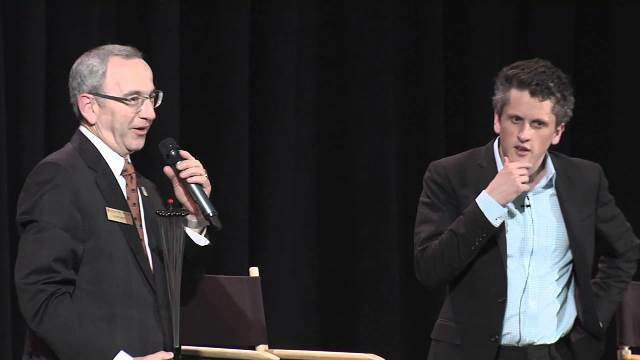 My former classmate, and current program co-director, David Balasco hosted. It was nice to see him doing well. I also ran into Mitch Goldstone from our class. We talked about his $8 Billion class-action victory over the credit card companies and his recent trip to the Amalfi coast. It was an uplifting evening…seeing a talented entrepreneur receive recognition for his hard work and vision, and…reconnecting with old friends. This entry was posted on Thursday, October 30th, 2014 at 12:55 pm	and is filed under events. You can follow any responses to this entry through the RSS 2.0 feed.